Are you an aspiring consultant or entrepreneur? Are you interested in gaining experience in a lucrative field, but find it hard to get your foot in the door? Are you looking for a position that can help you get credit as an intern in business, marketing or consulting? Then the Diamonds In The Rough Internship Opportunity is for you!!! Diamonds In The Rough Consulting consults a variety of businesses and individuals who would like to improve and enhance how they present themselves professionally and socially. 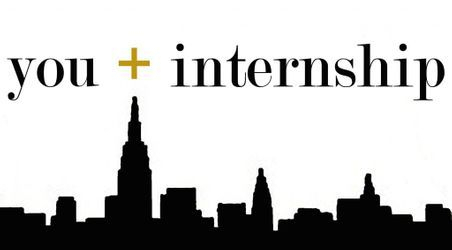 There are currently 7 internship positions available at Diamonds In The Rough Consulting. Each intern will assist the company with maintenance and operation of its day-to-day business activities. These positions are for serious, business minded individuals who have an interest in learning more about inter-relations (IR) consultation and the public relations publicist business. Interns are more than just personal assistants, they are mentees of a new and exciting area of consultation. Interns will be actively participating in DITR's clientele acquisition activities, marketing, project management, and office management. This will be a leadership position. The account specialist will work closely with the CEO of the company and will be in charge of assisting with all necessary operations of the company. This is a learning position and is paid as a fee-for-service compensation. The greatest value is learning a new business model and learning how to apply it to future business carer opportunities. This will be a marketing position. The account specialist will be in charge of overseeing the client accounts that are assigned as well as any accounts that they acquire for DITR. This position will also consult with clients using learned business psychology (I/O Psych) strategies from Dr. Pulley. These strategies would be used as a consultative service added as a bonus to clients. This position also works closely with the social media intern as well as effectively conducting weekly business duties and developing ideas for marketing strategies, projects and events. - Learn and assist with executive functions of DITR, its affiliates and clients. - Create social media campaigns, newsletters, email campaigns, online promotions, etc. This will be a marketing position. The account manager will be in charge of overseeing the client accounts that are assigned as well as any accounts that they acquire for DITR. This position works closely with the social media intern as well as effectively conducting weekly business duties and developing ideas for marketing strategies, projects and events. Social Media Whiz needed for added exposure, strategic and timely posts on media and media accounts. Our Social Media Intern will be responsible for making bi/tri-daily updates to our website, Facebook, Twitter, Instagram, and LinkedIn pages with new content and appealing posts. Our intern will also have the opportunity to do research current trends and incorporate new ideas into how we interact with our network over various media. If you are looking for a rewarding and challenging internship where you can take on projects and be a part of a successful team, we want to hear from you! Videographer/photographer needed to visually document events and create commercial like presentations for DITR and all of DITR Business Network Partners. Seeking Social Media Influencers who will be used to enhance business for DITR and all of DITR's Business Network Partners. An influencer should have 2,500+ followers on IG, Twitter, Snapchat and at least 3,000 friends on Facebook. - Know their numbers and their Klout score. - Communicate how much they can turn their following into call to action with direct response marketing. - Know their audiences interests. - Cross Promotion and collaboration to grow personal audience as well as the audience for DITR and all DITR Business Network Partners. Note: These positions are PAID. Interns will be paid and promoted upon evaluation of dedication and service to the DITR brand development and it's affiliates. In other words, interns will be cultivated to be future executives. 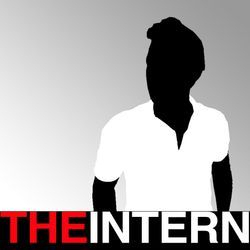 The interns will partake in all perks of the business and will have access to some of the same connections and resources through the DITR Network. All interns must be able to work for a minimum of 7 hours per week (Mon-Friday), with one designated day for a meeting lasting at least a half hour. Interns must have a smartphone equipped with social media and other applications (with sufficient data plan) and or a laptop/tablet with access to the internet. Must be willing to sign a confidentiality agreement. Diamonds In The Rough Consulting is willing to provide school credit as well as personal references. All interns will receive appropriate credits that could be transferable for education credits for work in business/media/graphic design/print media/press, etc.